“There’s a mass on my kidney,” our daughter Christine said shakily into the phone. Her dad took the call on my cell because I was paying for some shoes at the mall. He stepped into the hallway, pacing and murmuring, while I tried not to show my impatience with the chatty associate who was handling the transaction. I hurried over to where Gerry was in time to hear him say, “Stay there. We are on our way.”I could tell by the look on Gerry’s face that the report of our daughter’s ultrasound was not good. When he said “mass” and “kidney” I stopped breathing. My mother died from kidney cancer. I was shaking so badly I had to lean on the wall while Gerry said all the smart things: we don’t have all the facts yet; it’s too soon to panic; blah blah blah. Of course he was right but he needed to knock the monster off my chest so I could breathe! That was almost exactly two years ago and yesterday our daughter had her second surgery to remove tumours from her pancreas — the “kidney” diagnosis turned out to be inaccurate. It has been a difficult and beautiful season in our family’s life. “Difficult” because no mother wants her child (grown or otherwise) to suffer. Every mother wishes to take the suffering on her own shoulders and let her child live in glorious freedom. But trading places is not an option. “Beautiful” because God uses our suffering as the canvas on which to paint Himself. Every time you look at that canvas you see Him and you know He cares, He knows, He is with you, He was ready for this, He’s in control, and so much more as the canvas takes on colour and pattern and depth. There’s hardly a family that hasn’t been touched by cancer so you know what I mean when I say that the early days of waiting for the right diagnosis, the treatment options, the prognosis, the side effects (and so on) seem to drag on forever. You want answers. But you only want good answers, hopeful answers, dodged-a-bullet answers. If the cancer is rare, as Christine’s is, the answers are even slower in coming. Meanwhile, swatches of colour began to appear. The first was when we realized that the tumours on Christine’s pancreas had no symptoms and would never have been discovered until they had done irreparable damage. However a separate minor medical problem required ultrasound. And in the search for something else, the technician noticed a golfball sized mass and other smaller ones in Christine’s abdomen. The touch of God’s hand was obvious right from the start. After Christine’s first surgery where they removed the tail of her pancreas that held seven cancerous tumours of various sizes she suffered hideously with uncontrollable pain and severe nausea. On her darkest night when she could not stop herself from crying out a young nurse came alongside her bed, took her hand and began to pray. Christine opened her eyes and saw Robyn Booth, the daughter-in-law of my dear friend Susan. Robyn’s comforting presence and heartfelt prayers as well as her subsequent search for better pain control was a giant swath of colour onto God’s canvas. 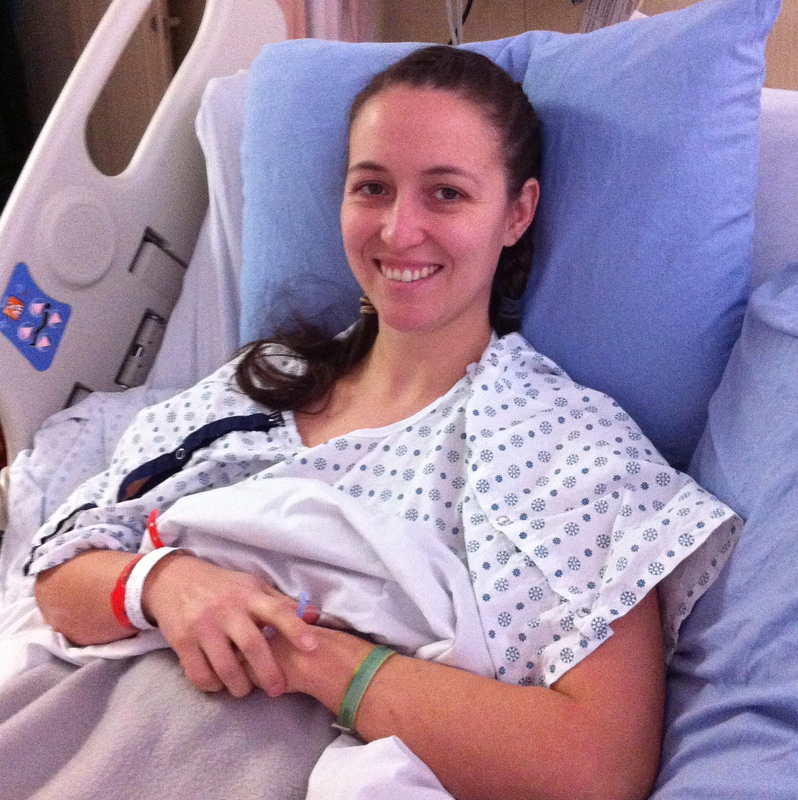 It took a year for Christine to regain her strength. She went back to work, taking two casual nursing positions. Two months later an MRI revealed a new tumour on the pancreas. We didn’t see it coming. I was on my way back from speaking in Georgia, enjoying some quiet in the Denver airport’s United Club when I read the text telling me the news. I had to find a bathroom stall so I could weep unseen. I called Gerry, bawling, and told him to tell Christine I would talk to her in the morning since my arrival home would be too late. The truth was I didn’t trust my composure. I packed my computer and iPad into my carry-on and stumbled to my gate in a fog. Someone called my name. I turned to see Patsy Woodard, a friend and fellow ministry associate from BC. She was en route to visit grandkids in Texas(?) and she saw me pass by. “Not good,” I replied, eyes watering. I explained. Patsy wrapped her arms around me and prayed, right there in the crowded airport hallway as people flowed around us. Drops of colour shaped like tears fell onto the canvas. God was present. There’s so much colour on God’s canvas, I can’t begin to put it into words in one oversized blog. Here are some snatches: Christine, Brad and the kids bought a house four doors down a year before the cancer struck. I have been able to rush over — in pjs! — many times when needed. The kids have come to my place — in cuter pjs — many times. Colour on canvas! Women all over Canada and the US are praying for Christine as I share her story in my speaking ministry and so many keep in touch and send encouragement. Splashes of colour! When Christine arrived in the Operating Room yesterday morning, a woman from her fitness class was a nurse in the adjoining OR. She spoke to Christine assuring her that her attending doctors were the best in the area. Colour! Two years ago in July, when my husband Gerry had his burnout, I felt God whisper into my ear, “Gerry needs a wife.” Obviously, he had a wife but I was so busy with my speaking and writing that I was very distracted. I stopped writing immediately — look at my blog (or lack of) for evidence. I honoured my speaking engagements but did nothing to get more — newsletters rather scarce! You see, God knew that by the time Gerry had recovered (after our “summer of love”), we would get the call from Christine that changed everything. Christine called us from her hospital bed last night. Her pain was under control. She had no nausea. The surgeon says everything went according to plan and her pancreas is clear. She is in good spirits and excitedly reported how God had so obviously been adding colour to His canvas all day long. I booked half as many events as usual these past two years but my husband needed his wife and my daughter, her mom. I answered their call, His call. I am following God one yes at a time and have no regrets. His magnificent canvas, ever before me, is proof that I am on the right path. What about you? Where has God led you in these last months? Can you see the colours on His canvas of love?